Q) How do you determine the size of a dog coat? 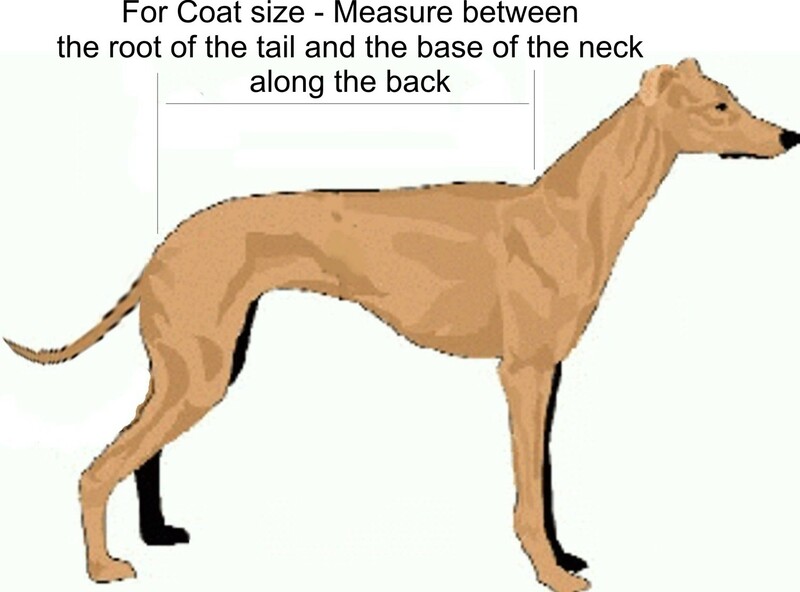 A) Measure from the bottom of the neck to the base of the tail to give you the size you require. Please note: Whilst this will work for most dogs it is not guaranteed to be correct. The adjustable velcro fastenings around the neck and chest are generous. If your dog is on the thin side then we would recommend a fitting at your local pet store. Q) How are the collars measured? A) With regard to the collar size, the measurement is from the 'tang' of the buckle to the middle hole which then allows for some adjustment on either side. Q) Do the product selling prices include VAT? A) Yes, the prices shown on the website include VAT. Q) Are there any restrictions on online ordering? A) Our Buy Online systems are currently available for customers with UK and certain European delivery addresses. Q) Is there a minimum order size? A) No! We accept all orders, no matter how small, on all standard products. Q) Is there a maximum order size? A) The Animate Company Ltd reserves the right to decline orders for bulk or high value purchases (see terms and conditions). Q) How long is delivery? Q) Do we operate a secure payment service? A) The Animate Company Ltd use SSL Certificates to offer secure communications by encrypting all data to and from our site - so your information is kept safe.